Norwegian native-born Jo Nesbø is a sort of jack-of-all trades. While he’s most known for his writing, Nesbø has also dabbled as a musician (the main vocalist and songwriter for the for the Norwegian rock band Di Derre) as well as a former economist (a stockbroker) and a freelance journalist. While talented those respective areas, Nesbø eventually settle down in writing, crafting out his own corner in the literary world with his mystery crime novels. While Nesbø has created several standalone novels as well as several novel series (The Olav Johansen series and The Doctor Proctor series), his most famous series has to be The Harry Hole series. In a brief summary, the series follows Harry Hole, a detective whose investigation take him to various locations (i.e. Oslo, Australia, and the Congo Republic) and usually takes cases that involves serial killers, bank robbers, gangster, and corrupt politicians, while Hole also battles against alcoholism and his own personal demons. As a whole, Nesbø’s Harry Hole novels, which as of 2017 consist of 11 books, have been well-received from critics and readers, finding the books to be similar to the late Swedish author Stieg Larsson (author of the Millennium trilogy) and Nesbø becoming an international bestselling author. Now, Universal Pictures and director Tomas Alfredson present Nesbø’s seventh Harry Hole novel to life with the film The Snowman. Does this movie translate well within its “page to screen adaptation of Nesbø’s work or does flounder beneath its icy backdrop setting and serial killer nuances? Once a respected police detective for the Oslo Crime Squad, Harry Hole (Michael Fassbender) is now a hopeless drunk, bringing his once promising career to a screeching halt. With his superior, Gunnar Hagen (Ronan Vibert), unwilling to assign him any cases, Harry lives in a perpetual and self-destructive state of drinking and smoking, trying to salvage his former life with Oleg (Michael Yates), the teenage son of ex-girlfriend Rakel Fauke (Charlotte Gainsbourg), who’s moved on and now dating Dr. Mathias Lund-Helgesen (Jonas Karlsson). Arriving in Oslo is a new detective recruit Katrine Bratt (Rebecca Ferguson) and tasked with learning more about a troubling missing-persons case, which eventually turns into a murder investigation involving a series of headless bodies and the construction of snowmen at the crime scenes. Harry, electing to tag along, soon gets pulled into Katrine’s case, asking questions and beginning to connect these grisly murders with older crimes that have more than a few things in common. 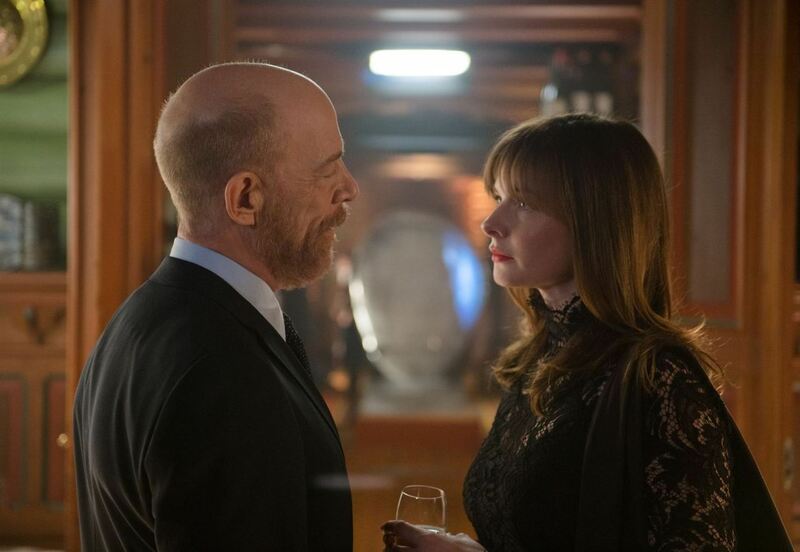 As the list of potential suspects continues to grow, including Dr. Idar Vetlesen (David Dencik), a local abortion doctor, and Arve Støp (J.K. Simmons), a powerful business figure who is campaign to bring the next Winter Olympics Games to Oslo), Harry and Katrine gradually realized that there’s something more sinister at work that ties to these disturbing murderers together. Since I’ve worked at a bookstore (for many years now), I’ve noticed a lot of people wanting a good and intriguing mystery novel to read, with a lot of people asking for a book similar to Stieg Larsson’s style of writing and / or narrative. While I have never read any of Jo Nesbø’s novels or literary works, I have heard from people (upon word-of-mouth) on how his similar his work is to Larsson and is something comparable to one another. Thus, I always recommend the two to customers. As a side-note, I have read Stieg Larsson’s Millennium trilogy (i.e. “The Girl with the Dragon Tattoo”, “The Girl Who Played with Fire”, and “The Girl Who Kicked the Hornet’s Nest”) and liked it, so I might have to try my reading hand at Nesbø’s books; probably starting with the novel “The Bat”, which is the first installment in his Harry Hole series. So, working at a bookstore and with a passion for movies, I did remember hearing that The Snowman, one of Nesbø’s Harry Hole novels, was becoming a movie. As a side-note (because I forgot to mention it above), the film The Snowman isn’t the first Nesbø movie adaptation, with 2011’s Headhunters, which is based of the book of the same name and directed by Morten Tyldum, being the first. Anyways, after reading the synopsis on the backcover of the book and seeing the movie’s trailer several times in my weekly theater outings, I was kind of interested in seeing The Snowman and it would ultimately shape up to be; predicting it to be similar to The Girl with the Dragon Tattoo film adaptations (both the Swedish and US version) that consists of a dark and brooding tale of serial killer. What did I think of it? Well, unfortunately, the movie didn’t live up to my expectations as The Snowman feels derivate to any serial killer crime drama, but more haphazard with its ebbs and flows of story progression and character development. In short, the feature, despite its international bestselling source material, is a crime noir misfire. While director Martin Scorsese was originally attached to helm the feature (he dropped out before principal photography began), The Snowman is directed by Tomas Alfredson, whose previous directorial works include Let the Right One In and Tinker, Tailor, Soldier, Spy. With a background in filmography and television as well as bringing to life John le Carre’s espionage spy novel to the big screen (that was Tinker, Tailor, Soldier, Spy for those who didn’t know), Alfredson seemed like the perfect fit to direct such an international bestselling novel to life. 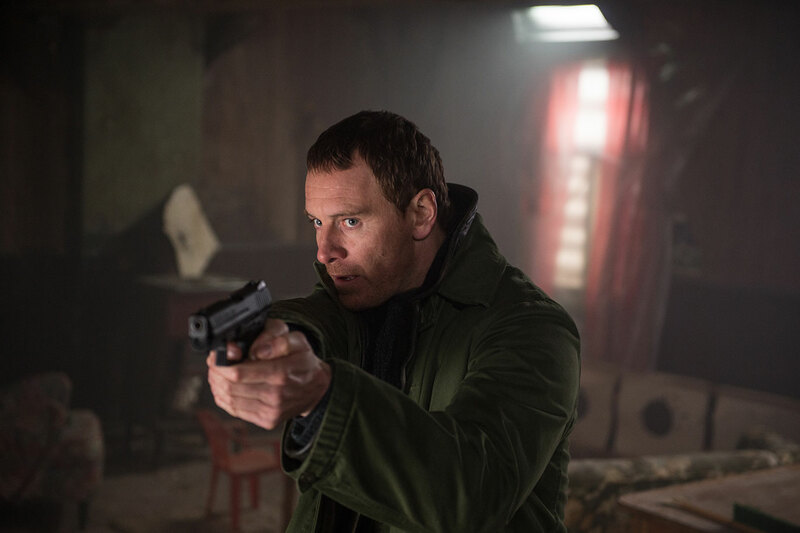 Given its source material, Alfredson gets the story’s premise down, with viewers first finding Harry Hole as a drunken detective (a sort of anti-hero character-esque qualities) and quickly becomes invested into a deadly serial killer murder mystery. He also does a good job in showing the ruthlessness of this “snowman” killer, creating several suspenseful moments in the movie that help elevate a viewer’s nerves. Basically, if you liked a serial killer mystery, their might be some redeeming qualities to find within The Snowman. Much like Nesbø’s work has been compared to Stieg Larsson’s work, The Snowman has that feeling of dark and dreary European serial killer setting / nuances for most of its feature, similar to the how the two cinematic versions of The Girl with the Dragon Tattoo were presented. This is where most of positive remarks for The Snowman are presented, which are found within its technical filmmaking presentations. Alfredson, along with cinematographer Dion Beebe, help create such a cold and bleak backdrop for the film’s setting. Combined with some striking framing techniques and good usage of real-world Norwegian locations, this allows The Snowman to have a certain unnerving / unsettling and depressing atmosphere for almost all of the movie’s runtime. Additionally, the film’s editing, which was done by Thelma Schoonmaker and Claire Simpson do an impressive job in piecing the film together, despite the numerous gaps in the plot. Unfortunately, most of the feature is riddled with large gaping problems, which severally cripples The Snowman from being the exceptionally piece of work that the film was meant to be. Perhaps the biggest culprit in all of negatives would have to be the film’s script. Credited to three different writers, including Hossein Amini, Peter Straughan, and Søren Sveistrup, the film includes quite a few character subplots that never come together in a cohesive way. All are centered around the movie’s central plot, but their final presentation in the film are left either weak / underdeveloped or completely disjointed in how they are handled. With Alfredson coming late into project, the director has now publicly admitted that the film was rushed during its production, including a very large and significant chunk of The Snowman’s script that was very actually shot. This, of course, provides an answer to why many of the subplot story threads (as well as the main narrative thread) are left underdeveloped in the final cut of the feature. As a result of this, The Snowman’s overall appeal (in story, themes, and characters) are half-baked, despite showing the necessary showing promise when first presented. In truth, I actually started to fall asleep in this movie, which was only one-minute shy of being a two-hour feature film, as the movie (at certain points) seems to be stretched and becomes thin in the process, which makes several scenes boring to watch, regardless of their vitality to the plot. Even if one over looks so-called the “missing pieces” in The Snowman’s screenplay / narrative source material, Alfredson’s film has other issues that hinder the film. Giving its premise and its nuances found in serial killer storytelling, the movie goes hard and doubles down on those certain element aspects, which includes unconvincing misdirection’s of certain characters (i.e. red herrings), lackluster plot twists that seem to be a tad farfetched and are clearly noticeable to Nesbø’s pulpy material. While these crime noir nuances are not outdated or cannot be handled well, it’s just that The Snowman just seems underwhelming and relies too much on them. It’s kind of like that expression of “shock and awe” as film goes for more that (especially in terms of the snowman’s violent acts of his killing) than trying to present a well-rounded / wholesome murder mystery narrative with the usage of those familiar tropes. In short, The Snowman does have all the right pieces for a solid feature, but just fails in its overall execution and feels derivate to almost every past installment in a serial killer feature. Like Harry Hole says in the movie “You can’t force the pieces to fit”, which is what the movie tries to do. Adding to The Snowman’s negative viewpoints is the film’s cast. This is not so much on their acting ability as the film does have a few big named actors in the movie, but most heavily emphasized on the characters that they are playing, which speaks to the movie’s screenplay, and ultimately cause their respective characters to fail in leaving a lasting impression on the movie (be good, bad, or indifferent). At the head of the pack is actor Michael Fassbender as the film’s central character of Detective Harry Hole (yes, I kind of chuckled at that time when I first heard it). Fassbender, known for his roles in Steve Jobs, Macbeth, and The Light Between Oceans, does his best with the material he’s given as Detective Hole, bringing the necessary gravitas to this story. However, the character of Harry Hole just feels hallow, never developing beyond the stereotypical “down on his luck” workaholic detective that we all know of. In truth, he spends more time smoking and having alcohol hangovers on-screen rather than having character development time, which is a shame as the character had potential to be a solid one, especially with Fassbender playing him. 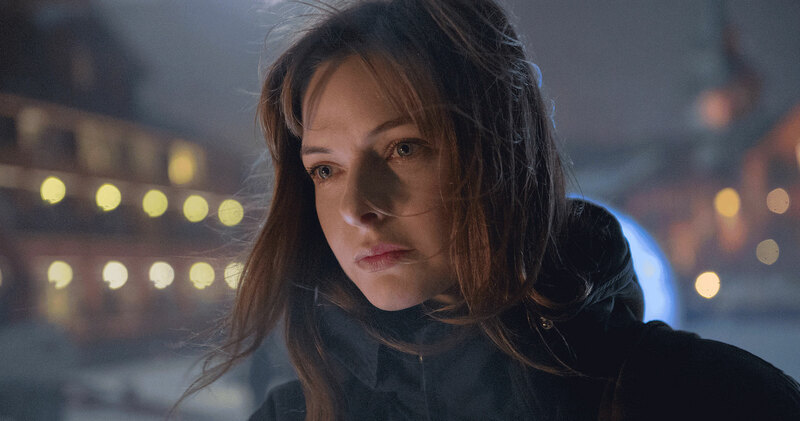 Similarly, actress Rebecca Ferguson, known for her roles in Mission Impossible: Rogue Nation, Life, and Florence Forster Jenkins, is simply misused as Katrine Bratt, a young detective who partners with Harry Hole for this “snowman killer” case. Like Fassbender, Ferguson has a theatrical acting pedigree and brings it to the film, but her character of Bratt never fully develops beyond just being a up and coming cop with a chip on her shoulder (and a dark past). Additionally, the dynamics between Fassbender and Ferguson never fully developed, which is another problem to their respective characters as we (the viewers) have hard time buying into their detective partnership. In supporting roles, perhaps the most baffling one has to be the character of Bergen detective Gert Rafto, who is played by actor Val Kilmer. Known for his roles in Top Gun, Heat, and Batman Forever, Kilmer gets the character persona down, finding Rafto to be boozing drunkard, but his performance is a bit awkward with his very strange vocalism and enunciations, which appear to have been obviously dubbed. Another contributing factor is in how the movie presents the character of Rafto, which is told through mostly flashback sequences. This is where the so-called “missing pieces” of The Snowman’s screenplay comes into play as his whole side-story feels convoluted and disjointed from onset to conclusion, despite in being tied to the main narrative. Likewise, the character of Arve Støp, a powerful Norwegian businessman and who is played by actor J.K. Simmons (Patriots Day and Whiplash) is underutilized and could’ve been more developed, despite Simmons’s performance of the character. The rest of the supporting players, including Charlotte Gainsbourg (Independence Day: Resurgence and Melancholia) as Harry’s ex-girlfriend Rakel Fauke, actor Michael Yates (making his acting debut in this movie) as Rakel’s teenage son Oleg Fauke, Jonas Karlsson (Offside and Miffo) as Rakel’s new lover Mathias Lund-Helgesen, David Dencik (A Royal Affair and Tinker, Tailor, Soldier, Spy) as Dr. Idar Vetlesen, Toby Jones (Harry Potter and the Chamber of Secrets and The Painted Veil) as Investigator Svenson, and Genevieve O’Reilly (Rogue One: A Star Wars Story and Glitch) and James D’Arcy (Dunkirk and Jupiter Ascending) as the wife and husband Britie and Filip Becker couple, squander their talents on these characters, which are pretty follow the same problems as the rest (i.e. good acting talents, but lacking character development). To be truthful, I personal think all of the actors / actresses are wasted on such a movie like this as each one is completely unmemorable in their respective roles. Detective Harry Hole battles his own demons and goes on the hunt for the notorious snowman serial killer in the mystery film The Snowman. Director Tomas Alfredson’s newest film bring to life the author Joe Nesbø’s crime drama novel to life, crafting a feature film that has all the right ingredients for a European-flavored Noir/ crime thriller. Unfortunately, beyond a few nuances here and there, the movie itself, riddled with a generic plot narrative, disjointed side stories, flat characters (both in lead and supporting ones), and an overall drab melancholy overtone, fails to impress and ultimately feels like a waste of talent across the board. To me, this movie was disappointing and bad. It had some moments that were engaging (mostly from its source material narrative), but the movie just felt boring, bland, and generic, with really nothing to make it stand on its own merits. Thus, as you can already guess, my recommendation for this movie is definitely a “skip it” as there’s not really much to it to warrant a glance (be in theaters or home video release), even if you’re a fan of Nesbø’s literary work. Given its negative reception, with Alfredson citing the difficulties during the movie’s production, it would seem that Mr. Hole’s cinematic journey ends before it ever began. In short, The Snowman aspires to be like The Girl with the Dragon Tattoo (both the Swedish and / or the US version), but mostly ends up being woefully disappointing feature like 2016’s The Girl of the Train (i.e. a good novel, but a terrible film).